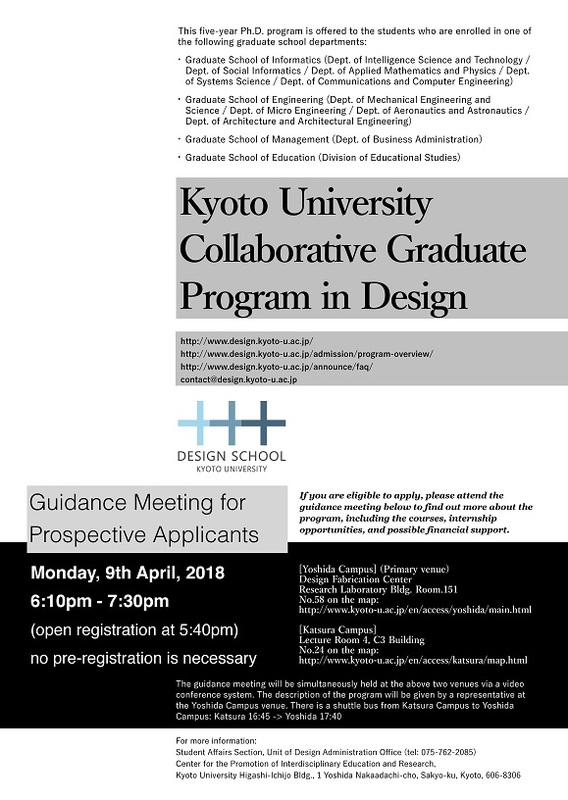 Guidance on application to the Collaborative Graduate Program in Design will be offered to students who are interested in applying to this program. Please attend if you want to find out more. Venue: The guidance meeting will be simultaneously held at the above two venues via a video conference system. 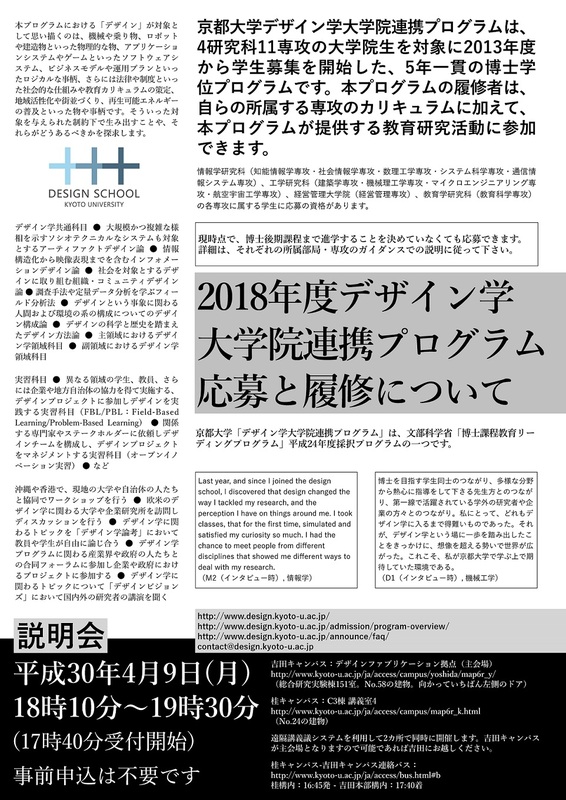 The description of the program will be given by a representative at the Yoshida Campus venue. The applicant must be enrolled in one of the departments listed below.